Modern game-improvement irons were introduced in the early 1960's. While innovations have kept a dizzying pace over the decades, these clubs’ purpose remains the same: to help golfers hit the ball farther, higher and straighter than they can with traditional irons. Game-improvement irons’ perimeter-weighted, cavity-back clubheads make them easy to distinguish from “blade” irons. In this case, technology doubles as cosmetics; the weight distribution sets game-improvement clubs apart from conventional models. A cavity in the back of the clubhead, which creates perimeter weighting: In essence, the cavity is the space from which material is removed; it’s then re-placed around the club’s perimeter. This reduces how much the club will twist or vibrate when the ball misses the sweet spot. In technical terms, perimeter weighting raises the club’s moment of inertia (MOI). The result is a larger effective hitting area and more forgiveness on off-center impacts. Shots will fly relatively far and accurately even on mediocre and poor contact. A low center of gravity (CG or COG): Additional weight is often place near the bottom of a game-improvement iron to lower its center of gravity. This causes the ball to launch on a steeper angle, carry with more height and land more softly. It also aids golfers’ ability to hit longer irons (3-5) more proficiently. 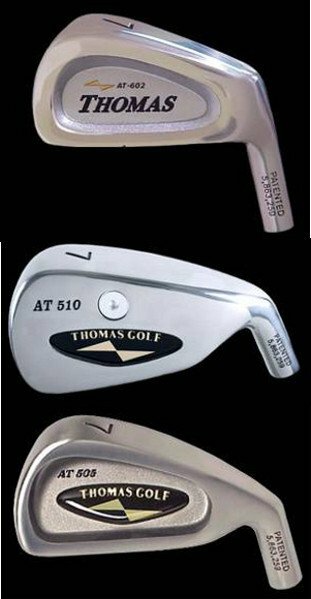 Made from investment-cast material: While traditional irons are forged from blocks of steel, most game-improvement irons are made by pouring (investing) molten metal into a pre-formed mold (cast). Clubface offset: A club whose leading edge is positioned slightly behind the forward-most point of the hosel is aid to have offset. This design gives the golfer an extra split-second to square the face at impact, reducing the tendency to push or slice the ball. Oversize clubheads: Many irons are now built with heads that are longer than standard from heel to toe, and higher from sole to top line. The extra surface area creates even greater MOI and gives golfers confidence in hitting the ball solidly. These clubs are sometimes called super (or max) game-improvement irons. Thicker top line: The top edge of game-improvement irons is often than on traditional clubs. This is a result of moving material from the center to the perimeter, and also helps frame the ball at address. 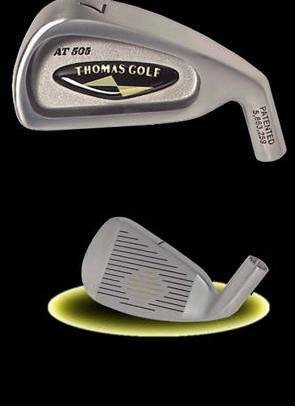 Leading online golf club retailer Thomas Golf (www.thomasgolf.com) offers a range of game-improvement iron models, all available with free custom fitting. Just by the name alone, you can probably figure out that game improvement clubs are something you should be interested in. After all, who doesn’t want to improve their game? While they definitely are something that you should give strong consideration, you also need to make sure that they are the right choice for you, your swing, and the goals you have for your game. Game improvement irons have the potential to help you reach new levels on the course, but only if they are the right fit. Basically, game improvement irons (or game improvement drivers, etc.) are clubs that are a little bit easier to hit than other models. These are clubs that are designed for golfers who are either new to the game or still need a little bit of help getting the ball up into the air successfully. That doesn’t mean that you have to be a bad golfer to use them – not at all. In fact, if you take a look around at your local golf course during your next visit, you will probably see that most players use some form of game improvement clubs. It is important to understand as well that the category ‘game improvement’ is rather broad, and that there are plenty of various models and designs that can fall under that umbrella. On the other end of the spectrum, clubs designed for more accomplished players – like those used by most of the touring professionals – are often referred to as ‘player’s clubs’. These are informal categories to be sure, and you probably won’t see them referenced anywhere on the club or even in most marketing materials. It isn’t a big deal to know which category to put a certain club in, you only need to understand what its strengths and weaknesses are so you can pick out the best model for your own game. There are game improvement clubs all the way through the bag available on the market today, including game improvement fairway woods and game improvement hybrids. In fact, you can even find game improvement putters if you feel like you need a little more forgiveness on the greens when rolling the rock. The idea at the end of the day is simply to put clubs in your hands that will enable you to hit the best shots possible throughout a round. You will always want to work on sharpening your technique and becoming more consistent with your own mechanics, but having the right clubs can give you that little extra advantage that you might be looking for. Don’t expect too much help, however – it is still up to you to swing the club and hit the shot. If you have asked yourself ‘what does game improvement irons mean?’ when shopping for new gear, the following content should help sort out any confusion you may have. Buying any kind of new golf clubs is a significant investment, so educate yourself as much as possible before making your final selections. As mentioned above, you can get game improvement clubs in a wide variety including game improvement fairway woods and game improvement hybrids. However, it is likely the game improvement irons that are going to get most of your attention. Why is that? Because the irons are traditionally the most difficult clubs in the bag to hit – so opting for a game improvement model stands to make the biggest difference in your game. For example, if you look at some game improvement drivers, they won’t like make a huge difference from any other model of driver. That doesn’t mean they aren’t worth considering, but don’t expect as much improvement as you could find with the irons. Larger club head. This is standard on any game improvement iron. The larger club head means more forgiveness when you make impact with the ball, because there is simply more room on the face to make contact. Even if your swing isn’t perfectly accurate down toward the ball, you could still come away with a decent shot thanks to the additional room you have to work with. A larger club head can also have a positive effect on your mental game, instilling confidence in your swing when you look down at the ball at address. Perimeter weighting. Another typical feature of game improvement irons is the perimeter weighting design which helps stabilize the club through impact. Unlike ‘blade’ irons, which many professionals use, game improvement clubs usually feature a ‘cavity back’ design where the weight is around the edges of the club head and the area behind the sweet spot is hollowed out. This has the benefit of making it easier for you to get the ball up into the air, and it can also help prevent the club head from rotating open or closed as much at impact (when you hit the ball off the toe or heel). Softer flex shafts. You can always have the shaft flex of your set of irons changed as needed, but a typical game improvement set will have a relatively soft shaft installed standard in most cases. A softer shaft flex requires less swing speed in order to bend the shaft and get the ball into the air. This is another feature that can be helpful to new golfers and those who are still working on learning the swing. Once you know what you are looking for, it should be easy to find game improvement clubs in the golf store near you (or online). Since these are the kind of clubs that most players look for, club manufacturers make sure there are plenty of options available on the market at all times. Most golf shops will have several models for you to consider, so you can try out as many as you like before making a purchase. If you are currently playing a set of clubs that would not fall under the category of ‘game improvement’, you stand to benefit in a number of ways from purchasing a new set that does fit this mold. As with any golf club (or any product, really), there are pros and cons to using this style of golf clubs. We will address the pros in this section, and take a look as some potential drawbacks later on. The first advantage that you are likely to notice is the increased distance that you can achieve while making the same swing. Most game improvement clubs are engineered with added distance in mind, so you should get a boost of at least a few yards on most of the clubs. This is a nice benefit throughout the set, but it can be particularly helpful in the mid and long irons, where distance can be tough to come by for the beginning or high-handicap golfer. If you are struggling to hit your clubs an acceptable distance out on the course, game improvement clubs could be worth a closer look. Added distance is nice, but forgiveness is really what these kinds of clubs are all about. The idea is that they should be easier to hit, so any minor imperfections in your golf swing aren’t translated to the ball flight that you get out of the shot. Some of the features listed above, such as perimeter weighting and a larger overall club head, are in place with the purpose of making the clubs easier to hit solidly. You should have a larger sweet spot to work with, giving you a better chance on each swing of hitting a good shot. The club isn’t going to do the work for you, but it won’t punish you as much for a slight mistake as would a more advanced model of golf club. When you look down at the ball from address, you don’t want there to be any doubt in your mind as to the quality of the upcoming shot. You should feel confident and prepared to make your best swing each and every time. Having a larger club head sitting behind the ball can go a long way toward enhancing that feeling. If you were to use a blade iron with a small club head, you might have some doubts as to your ability to hit the sweet spot as you come through impact. Those doubts could damage the quality of your swing, and lead to poor outcomes on the course. Not only can you benefit from game improvement clubs from a technical standpoint, but from a mental standpoint as well. In golf, just like most sports, success breeds confidence and further improvement. If you start hitting some better shots thanks to your new game improvement irons, the confidence you gain from that experience could lead you on to making better swings and working harder at your game. Over time, you might ‘grow out’ of the game improvement clubs because your swing has improved so much. However, that doesn’t mean they aren’t a good idea for the here and now. Use them to build your confidence and see some great results on the course, and then see where your game goes from there. There is no such thing as the perfect golf club. Even the most expensive clubs on the shelf, or the clubs used by the best players in the world, aren’t without fault. What is right for one golfer is wrong for another, regardless of price tag or brand name. With that said, game improvement clubs can’t do everything. They are an excellent choice for many players, but they are also the wrong choice for some. If you don’t need the kind of help on the golf course that game improvement clubs have to offer, you might actually hurt your performance when using this style of equipment. Consider the following list of potential drawbacks to using game improvement clubs, specifically, game improvement irons. Loss of control. Cavity back irons generally don’t offer the player the same level of control over the flight of the ball as do blades. For most golfers, this is actually a good thing – because it minimizes how far off line the ball will fly when it is miss-hit. However, more accomplished players might find this characteristic frustrating. It can be difficult to intentionally shape your shots with game improvement club, meaning that a good swing will often just end the ball flying straight ahead. To many golfers that would be a dream come true, but it is hard to deal with if you are a player that likes to draw and fade the ball on purpose depending on the hole in front of you. Too much height. Again, this point speaks to a lack of control over the ball. Game improvement clubs are designed to help you get the ball up into the air quickly and easily. If you don’t need that kind of help, though, they could just end up launching the ball higher than you ever wanted. A shot that flies too high in the air is difficult to control, and you may find that you have more trouble getting the ball close to the hole with your irons. This is especially troubling on shorter shots, or shots in windy conditions, where you wish to hit the ball low on purpose but can’t quite do it because of the clubs you are using. Can slow down in thick grass. Those larger club heads that were mentioned earlier can become a bit of a hindrance when you are playing shots from the deep rough and you need to cut through the grass as cleanly as possible. Smaller club heads contact less grass on the way toward impact, so they often have an easier time dealing with poor lies in the rough. Large club heads are easy to use from the fairway or off the tee, but getting the ball up out of the thick grass can be quite the challenge. There are plenty of positives to the idea of using game improvement clubs, but some drawbacks exist as well. The important thing is that you have a clear understanding of what these kinds of clubs can do, and what they can’t do. That way, you can think about the current state of your game and then decide if what these types of clubs have to offer is a good match for what you need out on the course. Now that you have a good understanding of exactly what game improvement irons are, it is time to start thinking about your own game and making a plan for your next set of equipment. Do you think that game improvement clubs can help you lower your scores? Do you already have some in your bag, but would like to compliment them with others? These are some of the questions that you should be asking yourself at this point. To start with, think about your average 18 hole score on a typical day. If you usually shoot under 80, you should probably stick with something a little more advanced than a game improvement club. 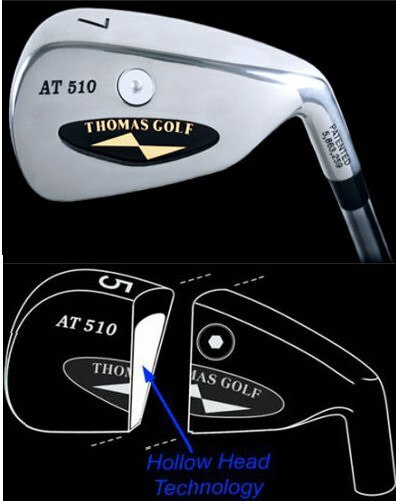 If you are in the 100’s on a regular basis, it is a safe bet that you do want to choose game improvement irons. Anywhere between 80 – 100 for an average score, however, and you can go either way. Think about what it is that usually costs you strokes on the golf course. There are many different kinds of golfers who can average a score of 90, for example. One player could hit great shots from tee to green and waste almost all of his strokes chipping and putting. The other player could be a poor ball striker with the full swing, but be an excellent short game player. In this way, it is important to look past just your score and think about the kind of golfer that you really are at the moment. The players that struggle with ball striking on the full swing are the ones that are going to stand to benefit the most from game improvement clubs. If you are reliable from tee to green and have trouble lowering your scores because your short game holds you back, game improvement clubs probably won’t help you take that next step. 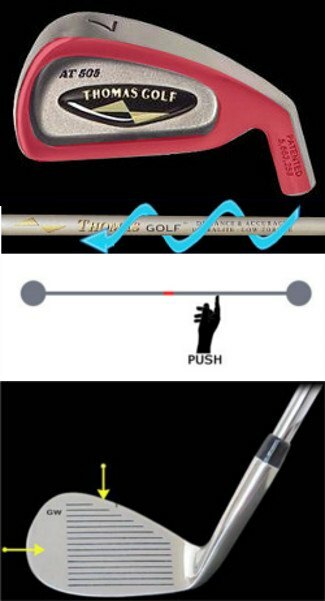 For the player who already has a good short game, however, this kind of equipment could be what you need to finally match your ball striking to your short game performance. Remember that you need to be totally honest with yourself throughout this process. Don’t think about the golfer you would like to be, or the golfer that you imagine you are in your head – think about the player that you really are, right at this very moment. It might not be fun to look directly at your flaws when it comes to the game of golf, but that is what you need to do to improve. Only when you are brutally honest with yourself will you be able to truly decide if a set of game improvement clubs is what you need to keep moving your game in the right direction. Of course, if it is the short game that is giving you fits, game improvement putters are something to take a look at. This class of putters is designed with much the same strategy as the irons are – they are usually larger-headed putters, with plenty of forgiveness and a big sweet spot to help you get the distance of your putts just right. To an accomplished player, or to a good putter, these clubs often don’t look right - but to someone who has long-struggled on the putting green, they can be things of beauty. Putting is even more about confidence and belief than the full swing is, and your putting could stand to get a quick boost just by picking out one of these models. There is one kind of golfer who will have a very easy decision when it comes to buying their equipment – the brand new player. If you are just taking up the game and are buying your first set of clubs, you absolutely will want them to be of the game improvement variety. Golf is extremely difficult at first, and you want all the help you can get in order to start off on the right foot. You don’t have to invest a ton of money at this point in your new clubs, and you can always purchase a different style of clubs later as your game improves. Find an affordable set of game improvement clubs to fill your bag with, and use the leftover money in your golf budget to get plenty of practice and maybe even take a lesson or two. Hopefully the content above has answered the question of what does game improvement irons mean for you. It is helpful to have as much information as possible when you go club shopping, as there are an incredible number of brands and styles on the market today. Rather than getting caught up in the brand name, make sure you are thinking about the specific characteristics that those clubs have to offer, and whether or not they match up with your needs on the course. Again, no one set of clubs is right for every single golfer – the specifics of your swing and your ability will dictate which clubs are best for you. The one thing you don’t want to do is get in over your head with clubs that you just aren’t good enough to hit right now. If anything, error on the side of caution and get a set that you are sure you can handle and will give you reliable results on the course. Golf is more fun from the short grass, so pick the clubs that will keep you there as often as possible.